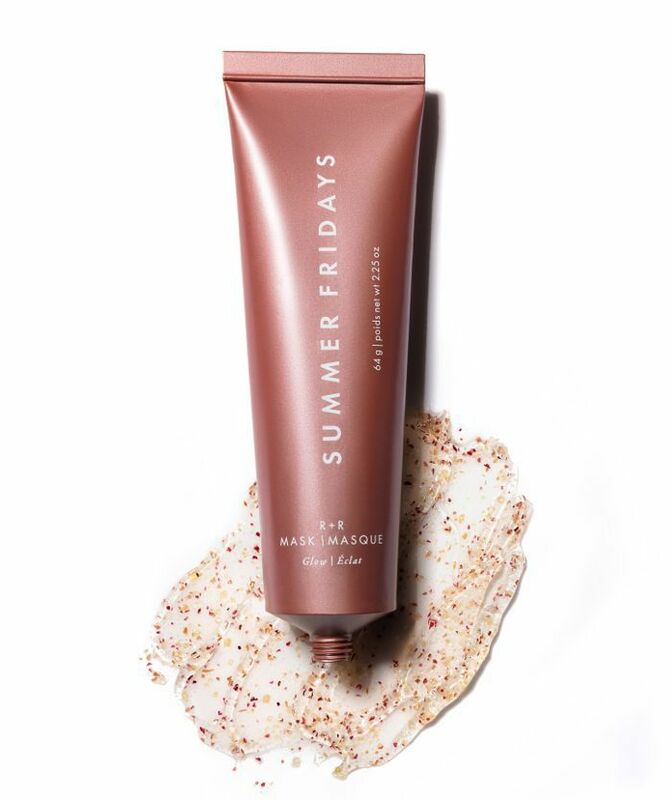 Considering Marianna Hewitt and Lauren Gores Ireland created their respective careers via the internet, it isn't shocking to see the widespread success of their skincare brand, Summer Fridays, a line that's rise can be attributed in large part to the snowball effect of top-notch social media marketing. (Kim Kardashian has even endorsed the brand before her 126 million Instagram followers.) What's fascinating, though, is that as of today, the line only boasts three SKUs. The inaugural launch of Jet Lag Mask, a hydrating cream that soaks into the skin, was later followed with Overtime Mask, an exfoliating blend of pumpkin enzymes and apricot seed powder. But the brand's third launch isn't branded around life's stressors (travel exhaustion and working long hours) and instead focuses on the luxury of downtime, a much-needed reprieve in today's climate. Meet R+R Mask. In an Instagram-centric world, packaging is a huge selling point, and suffice to say, Hewitt and Gores Ireland have nailed the concept of photo-worthy curb appeal. Each formula comes by way of a chicly-colored aluminum tube only made better by the crumples and creases it gains with use. Plus, the very concept of using a mask is social media fodder in and of itself; the entire process is worth documenting. So while Jet Lag and Overtime are alluring, to be sure, newcomer R+R is perhaps the most photogenic of the bunch. Its dusty-pink tube is filled with a clear gel flecked with colorful rose flower powder (also known as the "apothecary's rose"). If springtime came in skincare form, this would be it. Created to bring radiance back to tired skin, this mask physically exfoliates, brightens, and hydrates. The rose flower powder polishes dead skin and debris while a powerful group of argan, safflower, sesame, avocado, and grape seed oil lock in moisture, nourish, and repair the skin barrier. It's also got a potent form of vitamin C that's oil-soluble and sinks into skin 50 times faster than ascorbic acid. My take: Full disclosure: I'm not a fan of physical exfoliators. Instead, I'm all about acids (glycolic in particular) and feel more comfortable letting them dissolve inactive cells rather than buffing at my sensitive skin and risking small tears and abrasions. Plus, scrubs feel messy to me. But R+R is different: the polishing particles are very fine and wipe off nicely—not to mention the act of using a warm washcloth to remove rose petals from my face feels like the stuff of royals. And even on my redness-prone skin, I don't feel irritated or raw afterward. As for the moisturizing aspect, the brand suggests leaving the mask on for 10 minutes after buffing and before wiping off, letting the remaining oils work their magic while you sleep. This was a bit difficult for me—I love layering active serums underneath a rich moisturizer each night, so leaving the odds up to the residual oils didn't seem like enough, but I wanted to test the mask on its own without letting other products influence the outcome. Surprisingly, using the mask alone still made my skin feel moist come morning, even after being in the desert incubator created by my bedroom heater. Though, my A.M. pre-makeup lineup remains the same to keep my skin in check for the rest of the day—R+R is just an every-other-night type of renewing luxury. I've only applied the mask a handful of times, but ever since, I've noticed that my skin feels super soft, retains its moisture, and has a nice glow to it—I even had a colleague I hadn't seen in weeks comment on how great my skin looked. I'll have to keep using it consistently to have a better feel for its efficacy, but so far, so great. Up next: The products we bought because Instagram told us to.